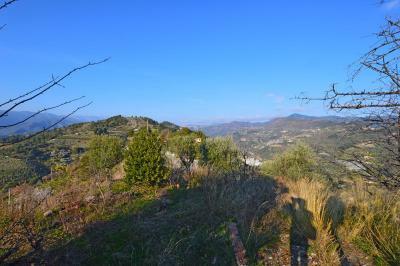 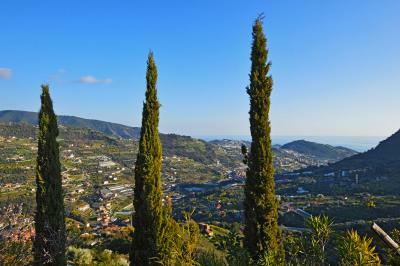 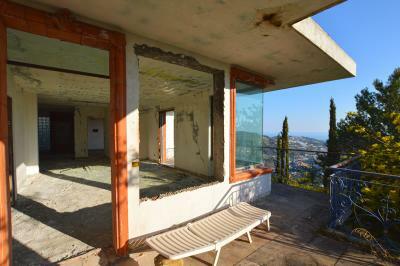 Super panoramic Villa for Sale in San Biagio della Cima. 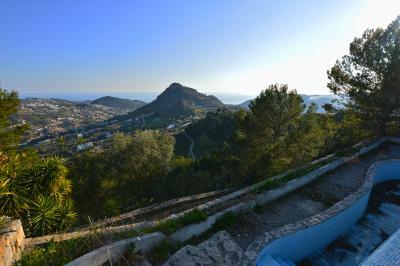 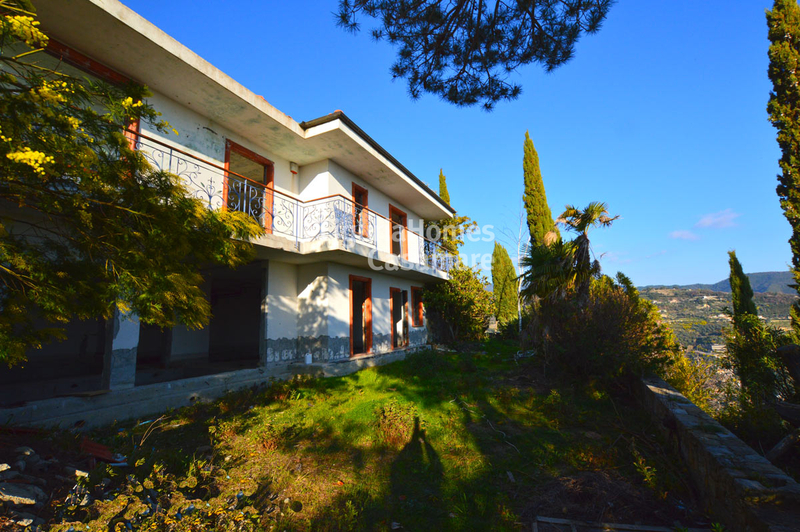 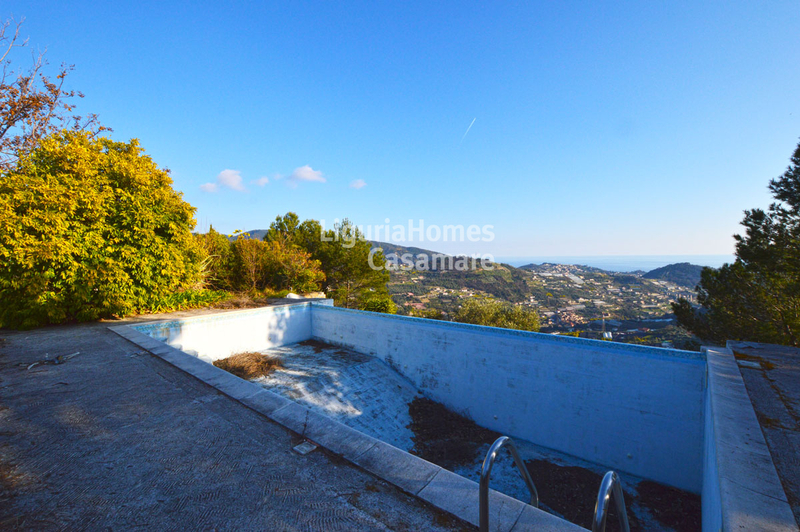 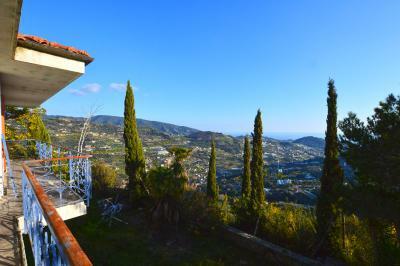 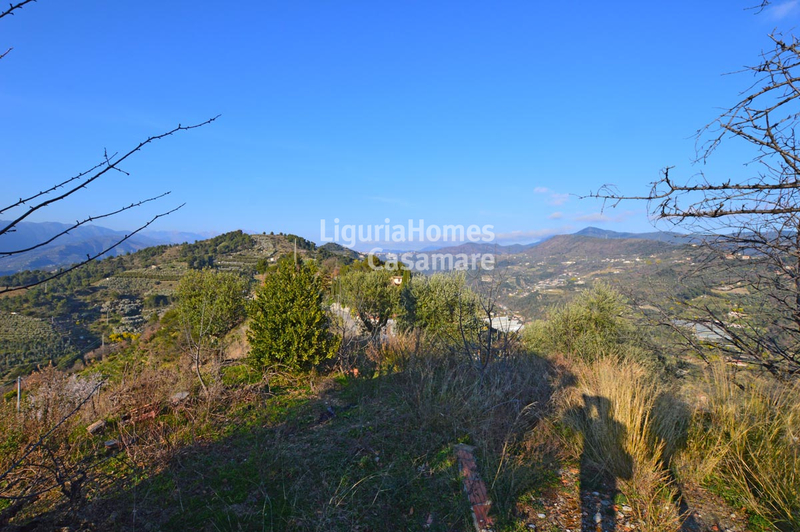 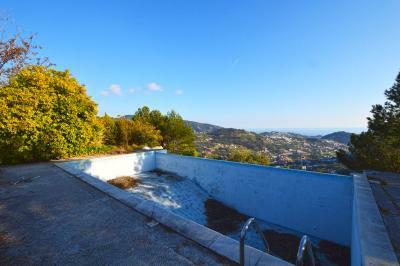 The "Villa DE FIORI" is a Villa for Sale situated at only 6,5 km from the sea of Bordighera, close to the lovely Village of San Biagio della Cima on the top of the hill 250 m above sea level, with a 360 overview of the sea, the Alps, with a pine forest, an old vineyard, a fruit garden with centuries-old olives, cherries, mandarins, oranges, figs, persimmons, plum mirabelle, almonds, strawberry trees, flowering garden for more of 5,000 m2. 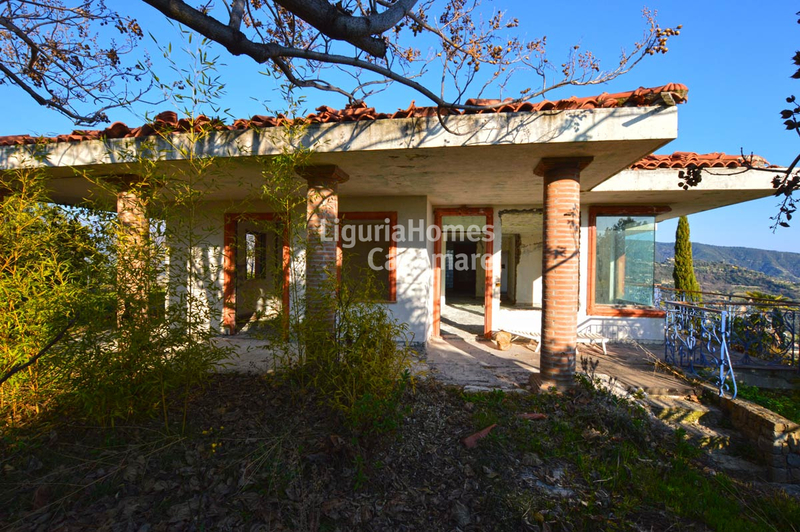 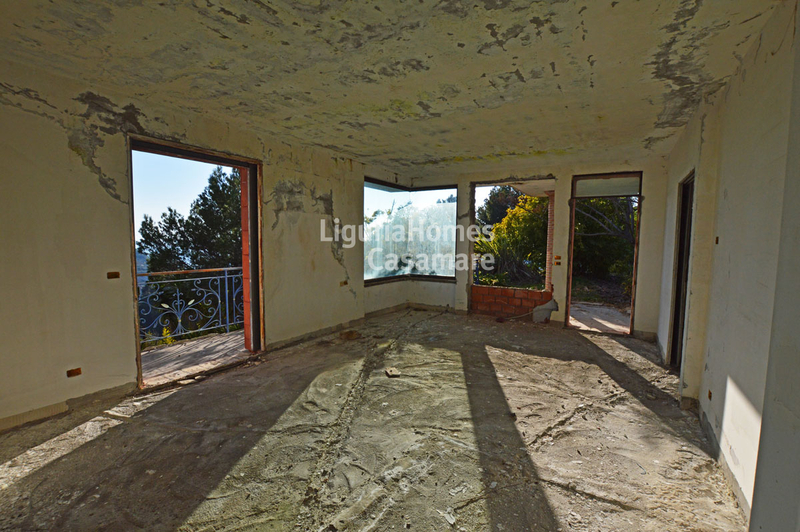 The Villa for Sale in San Biagio della Cima is to be finished inside and consists of the main Villa of 2 floors of 320 m2, embedded in the rock, on the 1st and 2nd floor there is an exit to the garden, 4 bedrooms with bathrooms, 2 living rooms 70m2 and 20m2, a 6x10 m swimming pool and a children's Jacuzzi, an outbuilding is situated in a pine forest of 120 m2 and a sauna, a garage, an open barbecue 4x6 m and a wine cellar with a winery. 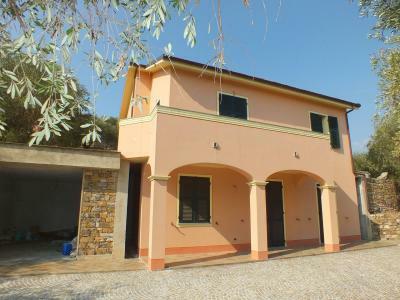 Access to the Villa for Sale in San Biagio della Cima is provided by a lighted paved road, centralized water supply, electricity 220 / 380V, gas LNG capacity provides for daily use of 6 months, an optical fibre cable (fixed telephone, television, Internet): all the benefits of civilization without restrictions year-round. 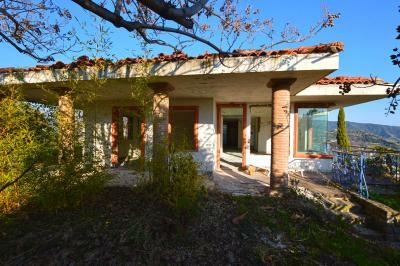 An old vineyard belongs to this Villa for Sale in San Biagio della Cima. The wine is made according to an old recipe in limited volume from the Rossese grape variety on a small cultivated land (an exclusive grape variety in one region of Italy and nowhere else in the world). 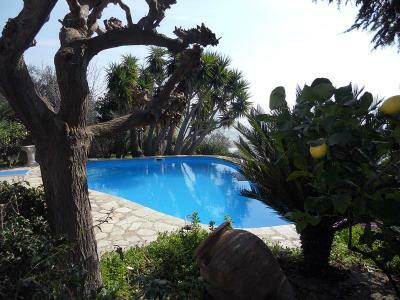 The Villa DE FIORI is located in a quiet, secluded, one of the most beautiful and ecologically clean areas of west Liguria with its Mediterranean mild climate, the scent of nature and the freshness of the Alps.